Al Muharraq (Premier League) strengthened their roster with addition of 30-year old American forward Herbert Hill (208-84, college: Providence). He played in the summer at Caciques de Humacao in Puerto Rican BSN league, but left the team in April. In 10 games he recorded 10.1ppg, 8.4rpg and 1.6bpg. The most of last season Hill spent at Samsung Thunders (KBL) in South Korean league. In 18 games he averaged 10.1ppg, 7.2rpg and 1.5bpg. 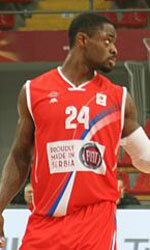 He also played at Dongbu Promy (KBL) in South Korean league that season. In 11 games he averaged 14.2ppg, 6.8rpg and 1.7bpg. The previous (2013) summer Hill played at Jiang (NBL) in Chinese league. In 9 games he averaged impressive 26.1ppg, 16.1rpg and 2.1bpg in 2013 season. The most of previous (12-13) season he spent at Amchit Club (Division 4) in Lebanese league. In 15 games he averaged remarkable 17.7ppg, 10.8rpg, 1.1apg and 2.5bpg in 2012-13 season. Hill also spent pre-season at Barangay Ginebra (PBA) in Filipino league that year. In 2007 he was drafted by Utah Jazz (NBA) in second round (55th overall). Hill attended Providence College and it is his eighth season in pro basketball. Among other achievements his team was regular season runner-up in Korean KBL in 2011. 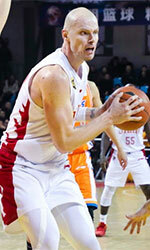 Hill was selected to Korean KBL All-Star Game in 2012. He is a very experienced player. Hill has played also professionally in France, NBA (Philadelphia 76ers), South Korea (ET Land Elephants and Goyang Orions), D-League (Oklahoma City Blue) and China (Jiang Xi).